In the late summer of 2017, the development team behind the GIS visualization platform vGIS felt pressure from their clients to provide a hardhat-compatible accessory for Microsoft HoloLens. Most industrial environments mandate that all personnel must wear personal protective equipment (PPE) at all times. No matter how useful the HoloLens software might have been, without PPE compatibility, it simply couldn’t be used outside the lab. With no hardhat-compatible devices available on the market, the vGIS team designed its own solution to address the issue. In November 2017, we published a short article about the vGIS hardhat solution on our blog, and we immediately received a wave of requests from other HoloLens developers who found themselves in the same situation. So, we decided to make our solution available to others. In less than two months, between November 2017 and January 2018, we received approximately 500 inquiries about the hardhat adapter. Although this is a relatively modest number by the standards of consumer electronics, the high volume of requests has allowed us to track fascinating statistics about the various existing HoloLens development activities and the locations of the most prominent development centers. 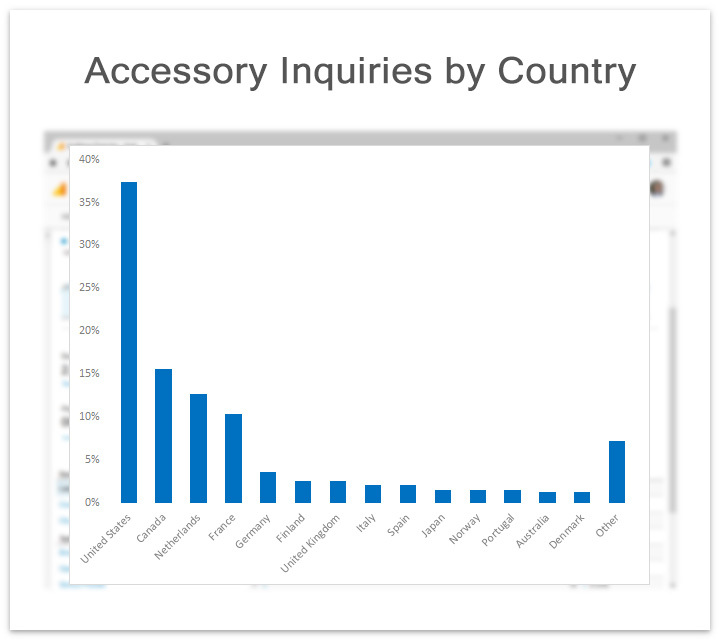 Disproportionately, the interest came from four locations around the world: the US, Canada, the Netherlands and France. Together, these countries accounted for three quarters of all inquiries. Surprisingly, the Netherlands turned out to be a hotbed of mixed-reality development, seemingly generating more industrial mixed-reality projects than pretty much the rest of continental Europe (minus France) combined. Although interest might be a good indicator of what developers are thinking about or planning to do, firm orders signal that there is a ready product that needs to be evaluated or used in an industrial setting. 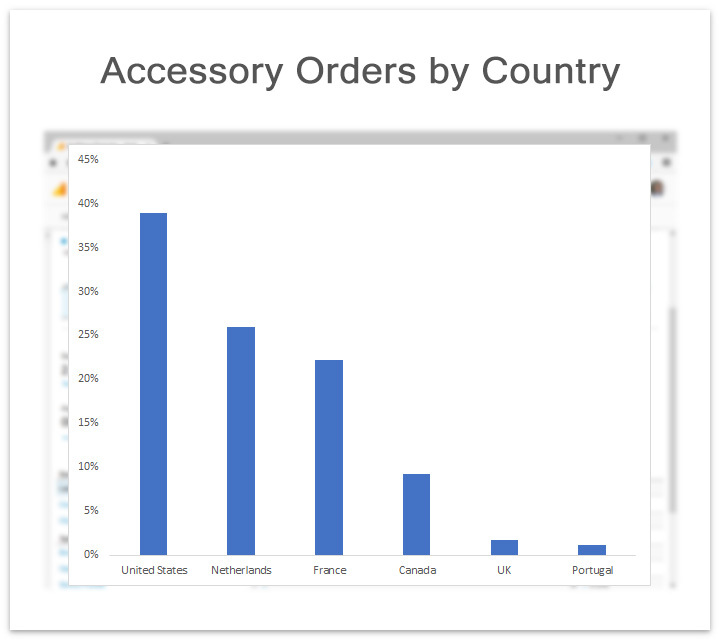 The breakdown of orders suggests that the same four countries as above placed almost 100% of the global orders. Once again, the Netherlands captured a disproportionately large market share of 26%. 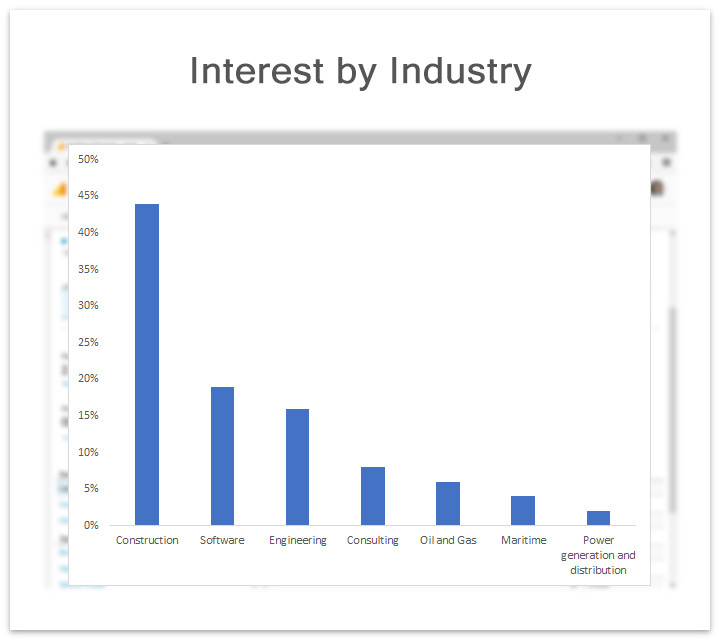 Finally, looking at the industry breakdown, the majority of the interest (72%) came from internal development departments at large companies, mostly construction/engineering giants (44%). That being said, there is also a sizable independent software development component (19%) targeted towards various industrial applications, such as BIM. These compiled statistics may not be suitable for a scientific study, but they offer a glimpse at the state of HoloLens development and the areas where the effort is concentrated. 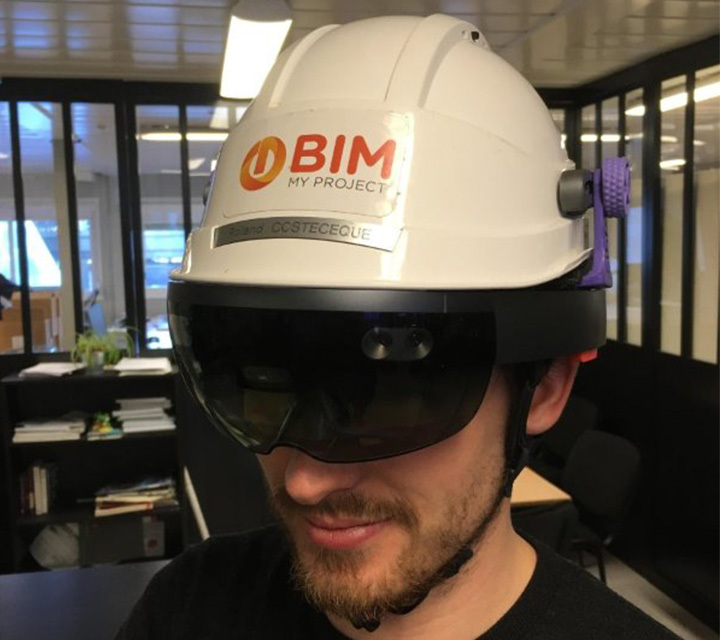 BIM My Project team from France putting vGIS hardhat accessory for HoloLens to good use.